The discovery has been published online today in the international journal Inorganica Chimica Acta. 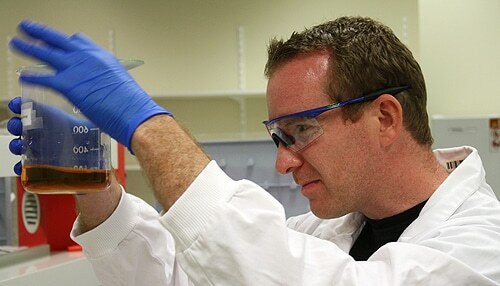 Led by Dr Nial Wheate, a team of scientists from the Faculty of Pharmacy, along with collaborators in Scotland, have developed a new anticancer drug that has an iron oxide core as small as 5 nanometres in size (1/1000th the width of a human hair). The important thing about this new drug, says Dr Wheate, is the ability of its iron core to move under the influence of a magnet; similar to the iron filing experiments many people have performed in science classes. 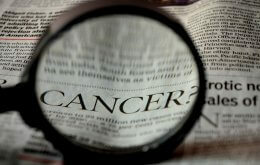 The technology was demonstrated when the team grew cancer cells in plates in the lab. When they placed a magnet under the plates, the drug affected and killed only those cells growing near the magnet, leaving the others unharmed, says Dr Wheate. “Many of the side-effects associated with chemotherapy occur because the drugs spread throughout the body, killing healthy organs as well as cancers. This new drug technology could also be used to treat a range of cancers that have not been treatable with conventional platinum drugs, like prostate cancer. Platinum drugs are one of the most regularly used family of agents in chemotherapy and include cisplatin, carboplatin and oxaliplatin.